How to trade with news in Forex? Trading with the news involves knowledge about economic indicators and the way they affect the market. The basic tool for every Forex trader is Forex Economic Calendar, which lists most watched economic data. You asked a general question, and there is a lot of information to cover about news trading. Although news trading looks attractive due to high surges in price, it is quite challenging. First of all, you'll face money management dilemma: Where to put the stop? Closer - it'll be taken out, further, it might be risky and it may be taken out as well. Second challenge is - you have to be able to "predict" market direction after news release and set a Pending Limit/Stop order BEFORE the news release. In this way you will have chances to actually enter a trade at the price you specified (however, it is never guaranteed and brokers would warn you about it). If you want to trade the news, trading with Limit/Stop orders is safer. The thing you don't want to do it to enter with Market order, e.g. instant order. You will never get filled at the price you wanted! Sometimes you will never get filled at all, instead you'll receive requotes and canceled requests. IF you manage to squeeze in during high volatility right or few second after the news, you can be filled at extremely unattractive and distant price opposed to what you wanted to enter at. If you decide to become a news trader, you only choice should be an ECN/STP broker - a broker with high and true market liquidity, a broker who doesn't have conflict of interests with their clients because they don't trade against their clients, and need no additional time to process client orders. 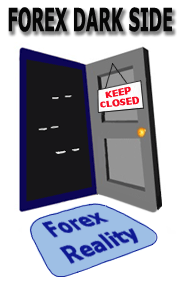 Check out the list of Forex ECN/STP brokers. Other brokers won't be happy if you start trading news with them, and you won't probably be happy with the prices and executions they offer. Bear in mind that majority of Forex brokers increase the spread during news and other irregular market volatility times. You have to watch the spread as you enter in order to avoid paying 15-30 or even more pips for the entry during news time. Submitted by Lionel Okpah on Thu, 08/06/2009 - 03:09. Submitted by Forex Tutor on Thu, 08/06/2009 - 03:11. Hourly time frame to check situation over entire trading session few hours before the news. Then 5 minutes chat to pick best entry points with orders set 15 t 20 minutes before the news time.